Duty Free in India – a fiasco or a success story in the making? “Nuance Group (India) to exit Hyderabad Airport Travel Retail as new Tender looms” read the headline on The Moodie Report – the most respected and authentic Travel Retail news site that never sleeps. Even though the Publisher Martin Moodie, Deputy Editor Dermott David and many other senior people were stranded over the past 10 days due the flight disruptions caused by E15 (that’s the short code for the Icelandic Volcano), the news website kept going. Such is the commitment of the people behind. Back to the headline, which also appeared in a leading Indian newspaper a few days ago, it was indeed a surprise for many of us in the Industry. Or should we say was it a surprise that the news came so late! Well. The Nuance Group that operates over 400 shops across 60 airports and 20 countries worldwide and which is among the largest Duty Free operators in the world entered India in the year 2006, with a JV with Shoppers Stop, India’s leading retailer. The JV was specifically formed for the Duty Free tenders that were coming up then, at Bangalore and Hyderabad for the two new Greenfield airports. It was quite a surprise to see this JV and so were many other partnerships – The Oberoi Group with Heinemann, for example. It was the first time that international players were setting their eyes in India. It was initially India Tourism Development Corporation (ITDC), a Govt. Of India undertaking which was the monopoly operator across Indian airports over the past 3-4 decades. And then came in the private monopoly of Flemingo since the turn of the 21st century. This was challenged by the International players in 2006 when the top five Duty Free operators of the world including Nuance, DFS, Dufry, Heinemann and Alpha participated in the tender process of BIAL. The line-up and interest in the Indian Duty Free was so impressive that many in the industry were hoping for better days ahead, guessing that the international players with their global exposure and best practices would mark a change in the country. Wish dreams were horses! The first International player to win a tender in India was the Nuance-Shoppers Stop JV at Bangalore International Airport. This was followed by a similar success at Hyderabad International Airport. Other players such as Dufry and Heinemann made a quiet exit from India heading back to their strong bases. Alpha, which had been operating in Kochi and Colombo for over 10 years went back to focus on its territories. A lot was anticipated by the Industry from the Nuance-Shoppers JV since its victory from the tenders at Bangalore and Hyderabad. With their impeccable track record in India, Shoppers Stop was expected to put things into perspective and bring some method to madness in this crazy business. After all, travel retail was, and is still a very nascent industry in India and who would believe me as an Airport Retail Manager a few years ago when I would say passengers would buy not just books and magazines, but also diamonds, watches, t-shirts and perfumes, even in the domestic departures of the airports! 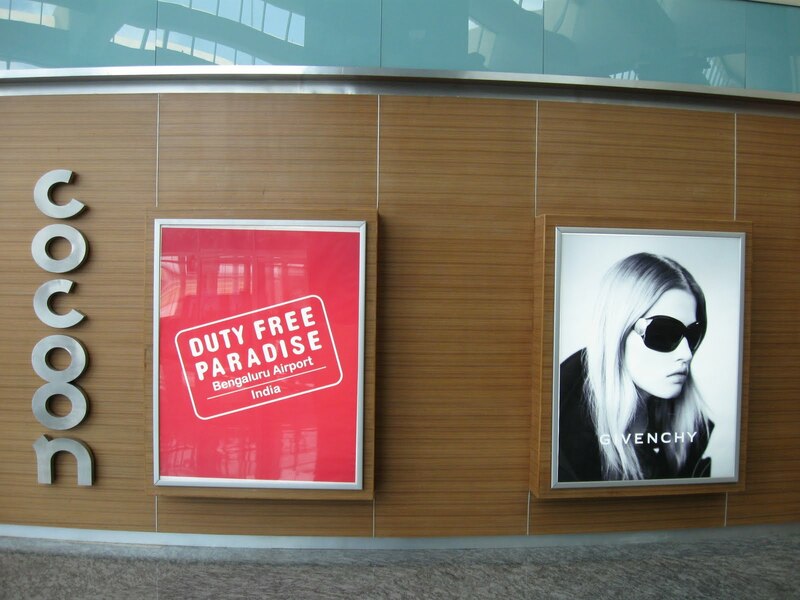 Shoppers Stop is doing an excellent job and one can see this at the Bangalore and Hyderabad Airports. And Nuance, with their global experience and success was expected to negotiate the best rates from its suppliers and pass on the discounts to its customers at the International Departures and Arrivals. 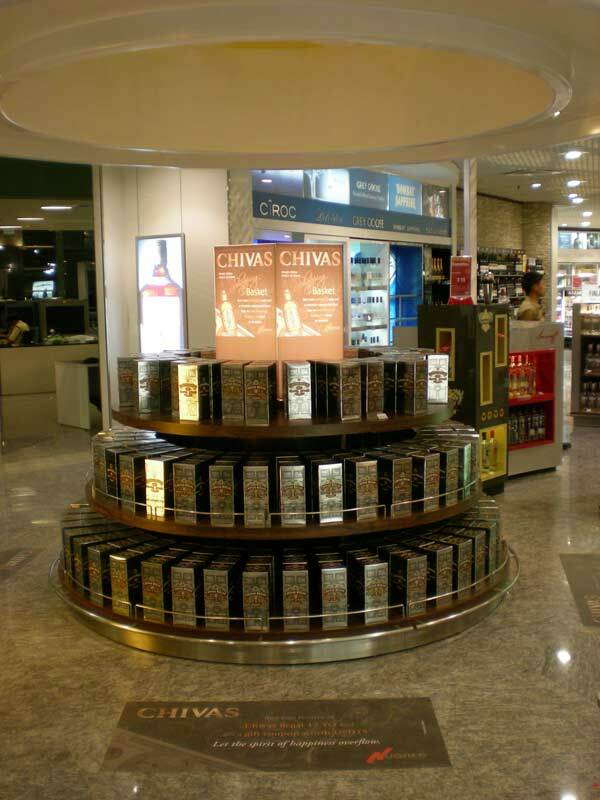 Needless to say, this is a true story today and the duty free stores in Bangalore and Hyderabad have been the favourite for most International passengers in recent times, surpassing erstwhile favorites such as Dubai, Singapore and Bangkok Duty Free. So, what really went wrong at Hyderabad? Honestly, I wouldn’t like to speculate. But there are certain points that were evident with their business model, some of which are discussed here. Sure, these are observations of yours truly and a few people around while personal thoughts of some of the readers may differ. To begin with, the size of the market was over-estimated. Going by previous experiences, the incumbent Flemingo who was operating at the erstwhile Begumpet Airport at Hyderabad did not have such a large duty free area. This, in my opinion should have been the first learning. A large airport doesn’t necessarily mean a large Duty Free Store, many of you would agree. Next, the range included high-end premium products including Scotch and Cigars, which was probably not required. The reason for this being over 60% of international passengers are either proceeding towards or returning from the Middle East and are blue-collared workers, whose primary requirements include some inexpensive chocolates to distribute among friends and family, low-cost tobacco products, whisky and rum. And most importantly, over half of all passengers belong to the Muslim community who do not consume any form of alcohol. This, according to many in the industry was the most important point that should have been kept in mind. 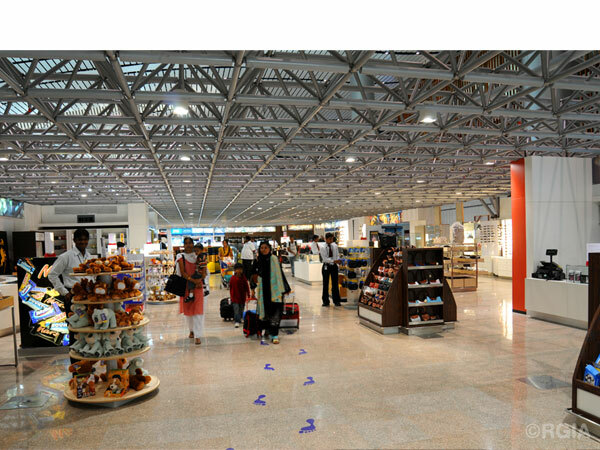 Indeed, for the reasons mentioned above, it was widely expected that Alpha Duty Free, now a part of the Autogrill Group, which has been operating in Cochin (with similar consumer profiles) could have been a better bet for this airport. Most recently, middle of 2009, there was an unsavoury incident at Hyderabad Airport where some of the staff of the duty free were allegedly involved in a racket that included illegal smuggling of customs bonded goods. While the words may sound alarming or confusing, what was happening actually was that the staff were taking goods out of the store that were not purchased by passengers, but by illegally using their personal details. This, according to some in the close vicinity of the Operator as well as the Airport Management was the last nail on the coffin. Afterall, the GMR Group which operates and manages the airports in Delhi and Hyderabad was in no mood to continue a situation that would give it disrepute in any form. The new Terminal 3 at New Delhi is nearing completion and once finished would possibly be the best terminal in India and among the best in the world. So, the latest news is that a new tender is being called for and the new operator “may” have a Joint Venture with the GMR Group directly, just like how Aer Rianta has entered in Delhi. Having said all of that, Nuance has done a commendable job in Bangalore over the last two years and this is also a reflection of their best practices being continued – they are also doing great in Zurich Airport, which happens to be one of the main shareholders in Bangalore Airport. 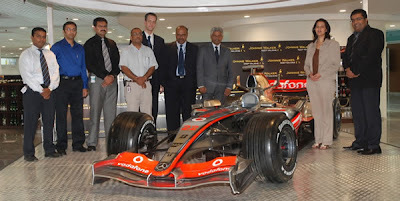 Their achievements in Bangalore include bringing for the first time in India a Formula One Racing Car to many other exciting promotions that have never been tried in the country. While there is wide speculation that they would wind up their India operations (naturally by the Indian Media coz they love doing it), many in the know are unwilling to believe so. Bangalore Duty Free, if done well in the years to come would be not just among the most profitable to the operator, but has the possibility to be one of the best in the world. Nuance has proven time and again that it is THE BEST Operator at Singapore and Hong Kong and understands the pulse of this market quite much. I am sure the business will flourish well in capable hands and continued mentoring and look forward to its wining accolades in times to come. So, where is the Indian Duty Free heading towards? Just wait until T3 opens - and the new integrated Terminal at Mumbai International Airport. Just a matter of time, when Indian operators will show the world how this business is run best. Cheers.